We should all know the recipe by heart: basic dressings go with all our summer salads, crudités, vegetables and even steamed fish. Here's a guide to dressings, from the classic to the more original. To bring out the acidic flavour of vinegar, add oil and a little salt. Use whichever type of vinegar you like: malt, wine, cider, sherry, raspberry, balsamic, tarragon, shallot, etc. Balsamic and raspberry vinegar go very well with tomatoes. 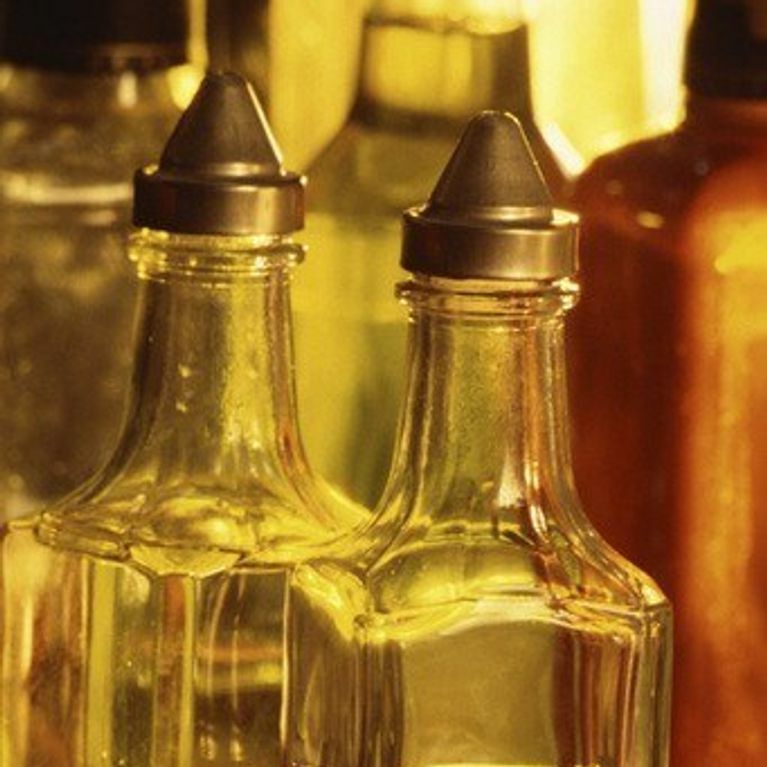 White vinegar isn't the best for dressings because it's too strong. The same applies for the oil. Sunflower and rapeseed oil have the most neutral tastes, but try hazelnut, macadamia and walnut oils which are more original and full of flavour. Try to get a variety of oils that are rich in Omega 6 (such as sunflower) and Omega 3 (such as walnut) in your diet. The quantity will depend on your personal tastes and how vinegary you like your dressings. As a rule, use twice as much oil as vinegar (3 tablespoonfuls of vinegar to 6 tablespoonfuls of oil, for example). - For a healthy dressing, dilute with plenty of water (half water and half oil). - To thicken your dressing, add one or more raw egg yolks. - To mix the ingredients well, use a fork or mini whisk. You can also mix the ingredients in a bottle - just make sure you shake it well! - If you want to prepare your dressing in advance, keep it in a sealed bottle in the fridge. You can add other ingredients such as mustard (at least 1 teaspoonful), lemon juice, pepper, etc. or even replace the vinegar and the oil - see below. Garlic, shallots and onions - nothing better to bring out the flavour of a dressing. Chives, parsley, chervil, basil, thyme etc. You can get specially-prepared frozen mixed herbs specially for salads. A little bit of chilli, fresh ginger or lemongrass are an effective way to give your vinaigrette an extra kick. Add a teaspoonful for a sweet and original recipe! You could also add icing sugar for sweetness. Replace the vinegar with wine or single cream (100ml). Make a sauce with yoghurt. Use natural yoghurt, add lemon juice, garlic and herbs (you can also use low fat single cream). Try adding grapefruit or orange juice as well as lemon and lime for a tang. Soy sauce, Worcester sauce and mayonnaise. Flax seeds or pumpkin seeds for a healthy dressing, and sesame seeds for delicious flavour. 1 tablespoonful mustard, 3 tablespoonfuls Xeres vinegar, 6 tablespoonfuls oil, salt and pepper, 1 tablespoonful chopped parsley. 1 tablespoonful mayonnaise, 6 tablespoonfuls rice vinegar, a dash of sesame oil. The juice of one orange, sherry vinegar, olive oil, sunflower oil or colza oil, salt and pepper. 2 tablespoons banyuls vinegar, 1 tablespoonful balsamic vinegar, 2 tablespoonfuls olive oil, 4 tablespoonfuls walnut oil, salt and pepper. 1 very ripe avocado, mashed, the juice of 2 lemons, 2 tablespoonfuls olive oil, 1 tablespoonfuls walnut oil, a dash of balsamic vinegar, salt and pepper. 200g cottage cheese, 3 tablespoonfuls pesto, the juice of 1 to 2 lemons, salt and pepper. The juice of the grilled peppers (open them up to get it out), 3 tablespoonfuls olive oil, 1 tablespoonfuls malt vinegar, salt, pepper and chopped garlic.